Award winning landscaping Charleston SC! Lowcountry residents know the premier Charleston landscaping company & landscape designer is Charleston Plantworks! Experience our award winning landscape designers & landscapers. For Charleston landscape design, we offer site surveys, consultations, landscape design plans, personalized nursery tours, and installation of flowers, plants, shrubs and trees. For residential landscaping we offer professional installation of Palm & Live Oak trees, gardens, irrigation systems, sod, water features & hardscapes. 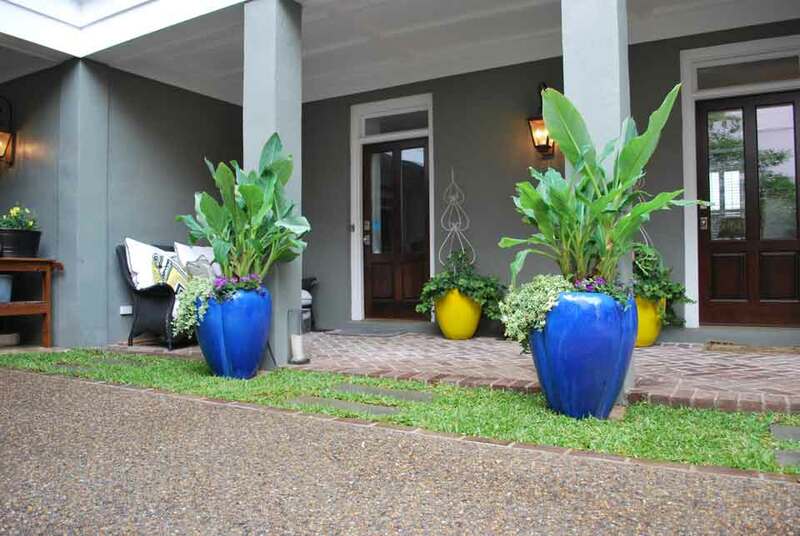 Charleston Plantworks defines excellence, service and value in Charleston landscaping services. Personalized service is our guarantee to you! Charleston landscaping companies must consider the specialized conditions for each area of the Lowcountry. Historic downtown Charleston has landscaping spaces which need to be carefully designed for smaller courtyard gardens. Charleston beaches and islands have specialized soil and drainage requirements. Mount Pleasant offers a mix of old and new construction. Newer construction with builder landscaping often requires landscape design and landscaper installation services. Landscaping Charleston SC for over two decades, we serve customers in downtown Charleston, Mount Pleasant, Daniel Island, James Island, Wild Dunes, Sullivan’s Island, Isle of Palms, Kiawah Island, John’s Island, West Ashley, Summerville and Awendaw. We offer Charleston landscaping services that are low maintenance, sustainable and safe for families and pets. Below is a listing of Charleston landscaping services that Charleston Plantworks proudly offers. Call (843) 579-1033 or email info@charlestonplantworks.com to learn more about our landscaping services and pricing. "Top notch company. I could not be more impressed with the work that Steve and his crew performed. I will never use another landscaping company again - and neither should you. Steve is an absolute pleasure to work with. It is not common these days to get the kind of service that they provide."